Western Australia will additionally be represented by Platinum Taekwon-Do instructor, Paul Raymond who has been selected to fill the role of one of five Australian coaches on their World Championship team. Aiden and Isaac have been training alongside each other and competing in ITF Taekwon-Do for ten years and it is a significant achievement to be selected for the National team. This event follows closely after the ITF World Cup in Sydney in September 2018 where the boys performed very well. Aiden was teamed with fellow Platinum Taekwon-Do student Euen Chong earning a bronze medal and Isaac also earnt a bronze medal in sparring. 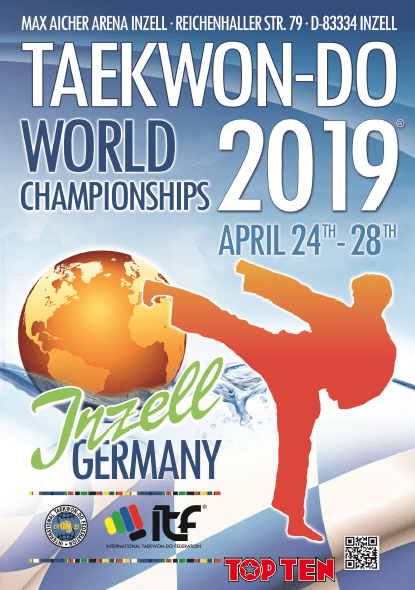 Aiden and Isaac will compete in free sparring, patterns and prearranged sparring in Germany.